Regional typical food: delicacies you can’t miss. Notte della Taranta: Puglia is ready to dance! “Alla salute !” a journey through Italian best regional wines. Food in Italy is a true expression of every Region and its culture. Every traditional regional product is made by natural ingredients that you can find only in that region (sometimes only in one town!). Every food comes with its flavors from the past. These products are part of the historical, cultural and social heritage of every town and of the whole region. It’s exciting to know that there are places where you can still eat foods prepared in the same way for centuries. In this way you can enjoy the same food of your ancestors and you can feel the same taste. For the pleasure of your “Italian Side”…. That’s why Italy, with its Regions, is trying to protect the authenticity of typical food, preserving the product names and their uniqueness from any imitations and abuses. 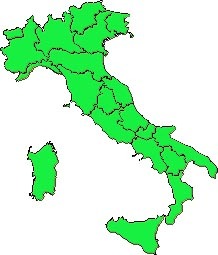 Denominazione di Origine Protetta (DOP) or Protected Designation of Origin (PDO) and Indicazione Geografica Protetta (IGP) Protected Geographical Indication (PGI). This designation serves on the other hand as a protection for consumers all over the world. It provides them with the guarantee that the information about the origin and quality of the products corresponds to the truth. To read the lists of typical foods for every region, click the region on the map or the name list below. In these lists there are not wines: you can find Italian regional wines here.